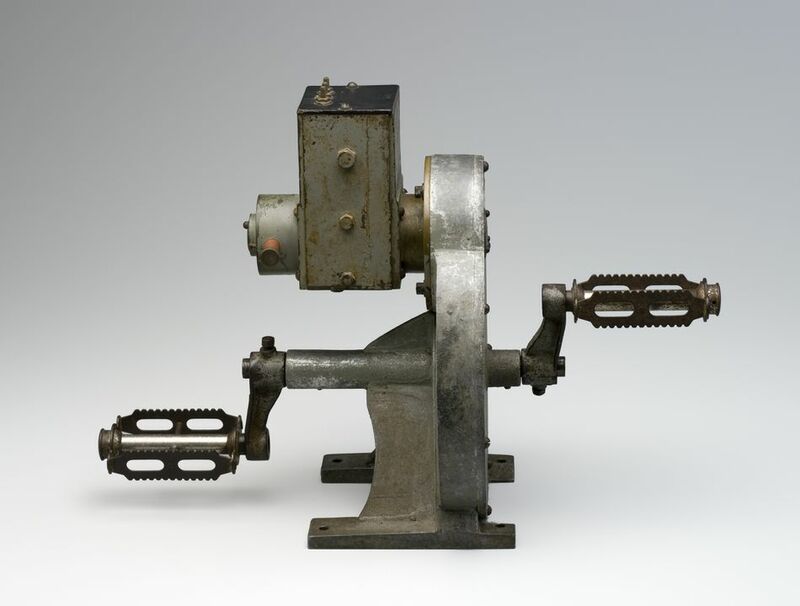 The Traeger pedal generator is part of the Powerhouse Museum’s Communications Collection and is an important Australian innovation. Alfred Traeger, a South Australian electrical engineer, developed this power-generation system for two-way wireless radios in the 1930s. Pedal Generator set designed to run the pedal wireless as used by the Flying Doctor Service. Made in Australia, c 1930-1940. The object consists of a coil generator, the rotor of which is turned by pedals on a horizontal shaft through a gearbox. This generator was designed by Alfred Traeger and made in Australia by an unknown maker.